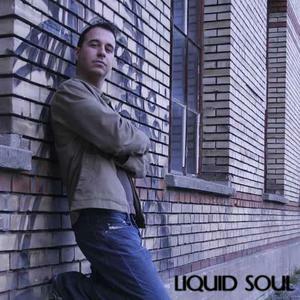 There are at least 2 different artists named Liquid Soul: 1) an American acid jazz band and 2) a psytrance Swiss DJ 1) Chicago, US acid jazz outfit Liquid Soul originally comprised saxophonist/musical director Mars Williams, DJ Jesse de la Pe?a, guitarist Tommy Klein, bassist Ricky Showalter, trumpeter Ron Haynes, keyboardist Frankie Hill, and drummer Dan Leali; formed in 1993, the group quickly emerged as a Windy City club favorite thanks to their regular Sunday night gigs at the Elbo Room, and soon recorded a self-titled debut LP for their own Soul What label. 1) Chicago, US acid jazz outfit Liquid Soul originally comprised saxophonist/musical director Mars Williams, DJ Jesse de la Pe?a, guitarist Tommy Klein, bassist Ricky Showalter, trumpeter Ron Haynes, keyboardist Frankie Hill, and drummer Dan Leali; formed in 1993, the group quickly emerged as a Windy City club favorite thanks to their regular Sunday night gigs at the Elbo Room, and soon recorded a self-titled debut LP for their own Soul What label. A series of high-profile gigs including appearances at President Bill Clinton's inaugural parade in Washington, D.C., as well as basketball star Dennis Rodman's birthday party greatly boosted Liquid Soul's visibility, and in 1996 their album was reissued on the Ark 21 label; moving their regular Sunday gigs to Chicago's Double Door, the group ? now featuring Williams, Showalter, Haynes, Hill, and Leali in addition to new recruits including DJ Ajax, rapper the Dirty MF, guitarist Tommy Sanchez, trombonist John Janowiak, percussionist Newt Cole, and vocalist Simone (the daughter of the great Nina Simone) ? issued their sophomore record, Make Some Noise, in 1998. Here's the Deal followed two years later. Evolution appeared in 2002 on Shanachie Records and One-Two Punch in 2006 on Telarc Records. 2) Nicola Capobianco, based in Switzerland, became already at an early age addicted to the magic of electronic music. He started playing progressive trance in the end of 1993. After many years of djing and producing, he has played and performed on big raves next to people like Paul Van Dyk, Tiesto, Armin van Buuren etc. etc. In 2001, he decided to start a new project and Liquid Soul was born. After many releases on top labels and playing in brasil, japan, mexico, uk, germany, greece, israel, portugal, belgium, austria, hungary, italy...., the long awaited debut album of Liquid Soul, released on Iboga Records, hits the street in 2006 and was the best selling album in the progressive scene in this year. With perfectly produced pumping tunes he rocked the progressive dance floors all over the globe. It's a milestone in the Iboga records catalogue. In the same year he started together with his friend martin the label mikrokosmos. The second album "Love in Stereo" was released in 2008 on Iboga records. Beside of his solo projects Liquid Soul and Sleek, he is also a part of the project Earsugar (Liquid Soul & dj martin).